The Liberal Early Risers Kiwanis will be selling fresh picked Colorado Peaches & Pears this Saturday, August 23rd, from the time they arrive until they are all gone. Early Risers Kiwanis would like to thank everyone who supported our successful Georgia Peach sale in July. 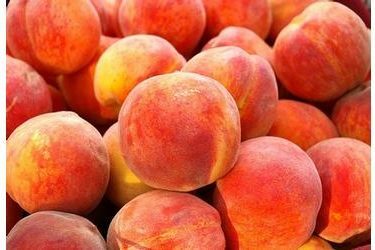 For those who missed out on the previous peach sale or are also interested in more peaches for canning or eating, we have been able to secure a load of Colorado peaches and pears for sale this month. These peaches will be picked fresh and delivered for sale early Saturday morning. The location will again be on the Kansas Avenue parking lot of Jerry Harding’s State Farm Insurance. We will have cases of Colorado #1 peaches, Colorado #2 peaches and also a limited number of cases of Colorado pears. Again proceeds from this sale will be used to fund our annual “Coats for Kids” program and other Kiwanis projects aimed at benefitting children in the community. Anyone wishing to reserve a case of peaches or pears may contact Robert Hutton at 620-629-5655, Ed Poley at 620-482-3431 or Kelly Kirk at 620-629-0568.